Cimarrones are Liga DirecTV champions. They snatched a narrow road win over Fast Break in the decisive third game of the title series. Cimarrones made 23-of-26 free shots (88.5 percent) during the game. Cimarrones had a 26-15 advantage in offensive rebounds. It was a good game for Venezuelan-Spanish guard Jhornan Zamora (196-89) who led his team to a victory with 25 points, 5 rebounds and 8 assists. He was named the MVP. 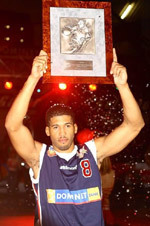 Venezuelan Jose Rodriguez (197-94) contributed with a double-double by scoring 14 points and 13 rebounds for the winners. 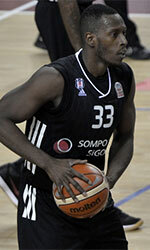 Four Cimarrones players scored in double figures. The former international guard Stalin Ortiz (190-81, college: Valparaiso) answered with 25 points and 4 assists and American guard Michael Sneed (196-82, college: Texas Southern) added 15 points and 8 rebounds in the effort for Fast Break.